1) Get Rewards for for Referrals for TDash product or an In-house workshop. 2) A great chance to be a Winner of "Annual Mystery Gift Lucky Draw". 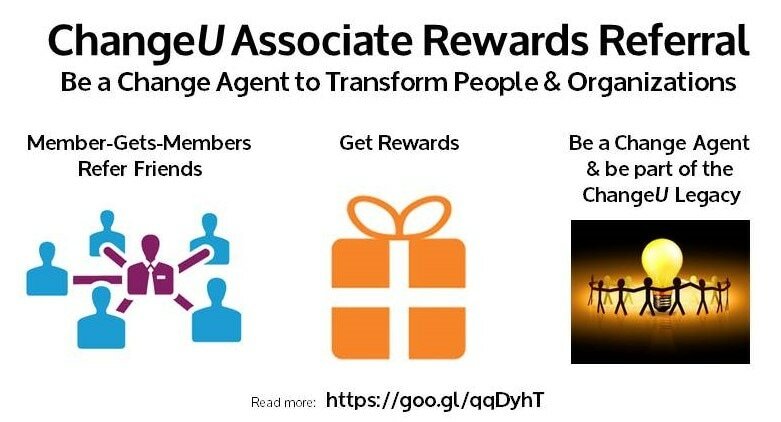 3) By referring your Friends, you'll become a Change Agent of Transformation, and be a part of the CHANGEU Legacy.